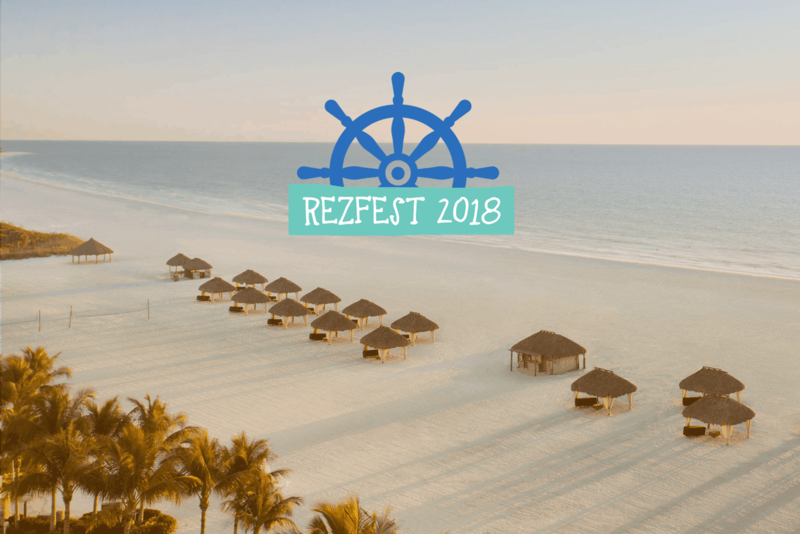 YourWelcome are packing their bags and heading to Marco Island, Florida for 2018’s Rezfest, hosted by HomeAway! Here are our tops picks of keynote sessions that we are adding to our calendars to ensure a jam-packed 3 days of innovation. HomeAway President John Kim addresses the influence and power of human connection in a time of increasingly digital interactions. We’re extremely excited to learn from the master and share this knowledge with our YourWelcome community to help them create deeper personal connections with their guests. Tech should be crucial to the life of a vacation rental manager. From website, to smart home, to PMS, every piece needs to be aligned and work in perfect harmony. Josh Parry from Ciirus will tell us more about how each piece of your technology suite is critical to revenue & efficiency, as well as how to leverage your tech as marketing to guests & owners of vacation rental properties. 3. Housekeeping and Inspections: Save Time… and Your Sanity! Speakers Lynell Eaddy and Scott Leggatt from LSI are addressing how to keep up with the endless tasks of scheduling, confirmation of cleaners, and last-minute changes and the issues this may cause for your business. YourWelcome understands your frustrations which is why we are taking these pointers through to a blog post on our website: The Art Of Hospitality Cleaning to show you how you can effectively use the YourWelcome tablets to save time on your scheduling on cleaning and daily tasks for your turnover team. Matt Bare from Q4Launch addresses the hot topic of Millennials and how you can benefit from the generation that are travelling more than any other generation before them. YourWelcome guests are already benefitting from the local travel guides that show you the best restaurants, activities, and events in the areas that you’re visiting and we’re very much looking forward to learning what features this generation of traveller would love to see! In this session, HomeAway keynote speakers David Macias and Shannon Parks will dive into the topic of pricing strategies and how you can maximize your profits and bookings. Through the use of data management and our built in e-commerce platform, the YourWelcome system enables your business to sell add-ons that will enhance the guests experience in your property such as welcome baskets, late check-outs and extra mid-stay cleans while tracking guests overall satisfaction within the property – alerting you to anything that may need your attention. The YourWelcome team are excited to learn new techniques that we can apply to increase your revenue. The YourWelcome team are ecstatic to listen to Xplorie keynote speaker, David Kornblith, delve into the future of evolving traveler expectations and how pre-check-in-messaging, local activities and in-home technology plays a crucial role in managing expectations. Be sure to drop by our booth after David’s sessions to see some of these key experiences in action. Technological advancement in our industry is changing faster than ever before. Tony Boyajian, Ari Eryorulmaz, Doug Truitt and Michelle Williams from HomeAway give us the low down on how, if adopted correctly, technology can be used to up your game and give your business the competitive edge. PMS is a great tool to fully optimize your vacation rentals and the YourWelcome team are thrilled to explore further on how marketing can be expanded through future tech developments. Smart homes are leading the way in terms of changing the vacation rental landscape, according to Adam Norko, PointCentral representative, and we could not agree more. One of our most popular requests here at YourWelcome from our clients are for video manual guides on their personalized tablets for their homes. This enables them to provide interactive instructions to their guests without the hassle of house calls to fix the problem. Smart homes and PMS are the future of improved client experience and we cannot wait to hear Adam Norko’s contribution to the conversation. Maintaining positive relationships with owners plays a huge role in the success of a vacation rental business. HomeAway representatives Tricia Boudreaux, Keen Cooper, Chris Gifford, Lucy Kawaiihalau and Rachel Renfro emphasize the importance of marketing to new contacts and how to maintain the relationships that you have built. Here at YourWelcome, we know the importance of maintaining personal contact with our clients in order to provide the best experience possible. We are ready to listen to these well-versed keynote speakers on how to build lifelong relationships with our customers. Bring it on! Last but certainly not least, Javier Flores from HomeAway Software touches on the importance of using tools effectively such as maximizing communications and leveraging guest usage data to market and monetize your mobile app. We’re looking forward to hearing Javier’s tips and tricks we can use to leverage marketing our tablets to reach a broader audience. Rezfest, we are ready for you! But more importantly…are you ready for us? Be sure to stop by booth #45 at Rezfest to have a chat about all of these great session and learn a little more about YourWelcome Tablets and YourWelcome Advance. Not attending Rezfest? Send us a message or visit our website – we would be happy to answer any questions! Look out for our stand (no. 45) – we are bright pink so you cannot miss us!